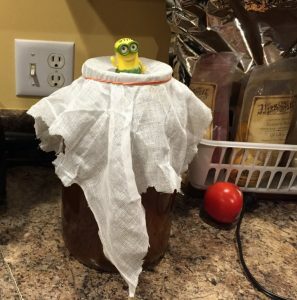 Freshly made Kombucha fermenting on the counter with a happy minion! The weekend right after Thanksgiving was my time to start thinking about healthy eating again. Right after the all the stuffing, and potatoes, and pies, and ice cream… guess I don’t have to go on, you probably get the drift. About 2 weeks ago a friend gave me a scoby, or starter culture for making Kombucha. I watched him drinking Kombucha every time I saw him. Then of course, I had to start buying it again at the grocery store which can get expensive. I love the different fruit flavors and the fizz. 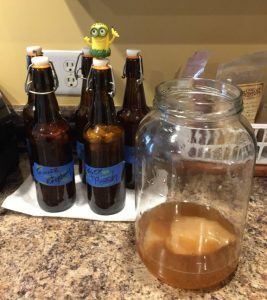 It reminded me of how delicious my Kombucha was when I made it about a year ago, but as usual, I got so busy I stopped making it. I bet all of us have had an experience like that… dropping something that is good for us because of the “I’m too busy” reason. Now that my fresh Kombucha has fermented for about 10 days or so, it was time to bottle it up. I had just shy of one gallon of Kombucha which filled five 16 ounce e-z flip or grolsch bottles. So I thought I’d share my recipe and process so you could see how relatively easy it is. Bring the water to a boil, then turn off the heat. Add your tea to the hot water and let it steep for 10 minutes. I place my tea into the middle of a piece of cheese cloth, then bring up all the corners and tie it closed. This method makes it easy to remove the tea from the water after 10 minutes. Otherwise you can put loose leaf tea into the water and then strain it out. After 10 minutes, remove the tea. Then slowly add the sugar into the water, stirring to make sure it all dissolves. Pour the tea into your brewing bottle or container. We use a one gallon glass jar. Let the the tea cool down to room temperature. At room temperature, slowly add the Scoby or mother culture along with 1 cup of the starter tea that came with it. Cover your jar with cheesecloth, secured with rubber band. Wait about 4 days and then start tasting your Kombucha. Each day taste it until you find a flavor you really like. Remember, it shouldn’t be sweet, as the sugar is used up in the fermenting process. Mother Culture, cup of raw sugar, gallon jar, and tea ball. I allowed mine to ferment for about 10 days. I could see some bubbles at the top, and I could see that the mother culture was now floating on top… a good sign. Clean and set up your E-Z Flip or Grolsch bottles. Cut up pieces of fruit to flavor your Kombucha fizzy drink. I always use about 1 tbsp of cut up fresh raw ginger in every bottle. Then I add some different fruit in each one. I use freeze dried fruit, seems to work perfect for this process. This day I used some raspberries, apple, peach, and apricot. You only need about 1 tbsp of cut up fruit to each bottle. I love to have a variety to choose from. You can use fresh fruit too! Have fun and experiment! 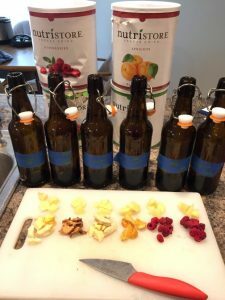 Adding fruit to your bottles! Filtering when filling the botles! Place a filter with a stem into the bottles. Pour your Kombucha into the filter and allow it to drain into and fill the bottles. Cap your bottles securely. Made sure you leave at least a cup of Kombucha tea along with your Scoby to start the next batch. Place tape on each bottle and label the fruit you added along with the date it was bottled. Leave bottles on the counter at room temperature for about 4 days. Then place into the refrigerator. Bottles Full, Ready to make more Kombucha! 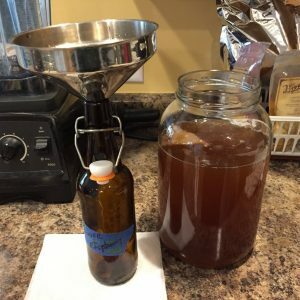 This entry was posted in Fermentation, Kombucha, Uncategorized and tagged fermenting, kombucha on November 26, 2016 by Homesteader's Supply. Q&A: Does It Hurt to Use Too Much Starter Culture? A Customer Asked: Does it matter how much starter culture I use to make cheese or yogurt? Will it hurt if if I use too much? Sometimes I use the amount called for, and it doesn’t work. Should I add more? Jerri’s Answer: Great question! You should always use the amount of starter culture specified in the recipe. Starter culture contains the lacto-bacteria that grows when the milk is warmed. The culture helps create the acidic environment necessary for cheese curds to form, and for yogurt to set up properly. If you use too much culture, the milk will become too acidic and kill off the lacto-bacteria. And when the environment is too acidic, cheese curds won’t form and yogurt won’t set up as it should. If curds didn’t form as expected even though you added the correct amount of rennet and starter culture, it’s often because there was problem with the milk. The milk might have come from a cow that had a sub-clinical infection. When undesirable micro-organisms are present in the milk, they can interfere with the process and prevent the rennet and starter culture from working. As a result, curds don’t form properly when making cheese. 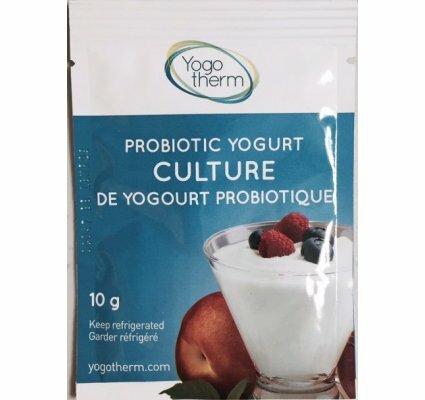 Similarly, when making yogurt, the starter culture is inhibited from working as it should, and your yogurt doesn’t set up to a thick consistency. In these situations, it’s best to find a different source of milk and try again. 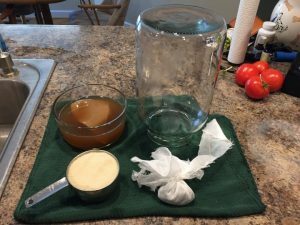 This entry was posted in Cheese Making, How-To, Q&A, Uncategorized, Yogurt and tagged starter culture on May 24, 2016 by Homesteader's Supply. 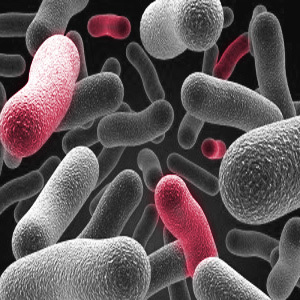 Did you know that your body’s overall health depends on the bacteria in your gut? It’s true! We have more bacteria in our GI tract than we have cells in our bodies. Collectively, these colonies of gut bacteria are called the microbiome. Scientists estimate the average person has 100 trillion micro-organisms in their gut. About 500 different species have been identified, but only 20 types make up 75% of the total. Many of these bacteria are beneficial, but we can have bad bacteria too. Good bacteria are protective. They help us break down food, absorb nutrients, and guard our immune system. On the other hand, bad bacteria produce toxins that wreak havoc in the body. Optimum health depends on minimizing bad bacteria. We do this by encouraging more good bacteria to grow, so they crowd out the bad kind. And also, by eliminating the things that damage our gut and feed bad bacteria. This entry was posted in Fermentation, How-To, Uncategorized and tagged gut bacteria, gut health, leaky gut syndrome, microbiome on March 15, 2016 by Homesteader's Supply. Question Do I have to use a new packet of Bulgarian Yogurt Culture every time I make a new batch of yogurt? This entry was posted in How-To, Yogurt and tagged how to, yogurt on December 4, 2015 by Homesteader's Supply. Wardee Harmon has partnered with Homesteader’s Supply in making all the supplies necessary for her Lacto-Fermentation e-course available to Traditional Cooking School members at one low price! The Traditional Cooking School is an online e-course that offers simple lessons and tasty, nutritious recipes for pickles, chutneys, relishes, condiments, pickled fish and meats, sourdough, simple cheeses, beverages, grains, beans and more! This e-course covers the fundamentals, and then gives detailed instruction on various aspects of traditional cooking. As part of the Traditional Cooking School’s program, Wardee offers a variety of individual in-depth courses on topics such as culturing cheese and other dairy products, lacto-fermenting (vegetables, fruits…even condiments! ), dehydrating (every food group imaginable! ), and baking with sourdough starter you make yourself. For a modest monthly fee, you get access to the above, plus several more wonderful courses—all which you can work on in any order and complete at your convenience! Wardee gives you the recipes, and then shows you on a video exactly how to prepare them. When you become a member of Wardee’s Traditional Cooking School, you can share in her forums and participate the live discussion groups she hosts. You will never feel left alone in your learning venture with Wardee! In her Lacto-Fermentation course, Wardee teaches you how to “pickle” foods to make them more nutritious, stay fresh longer, and taste even better by letting the food develop its own complex flavors and pleasing textures. Fermented foods are supremely digestible and nutritious. Fermenting gives your food a probiotic boost and provides health benefits similar to those of yogurt. Plus, fermenting is a great way of using and preserving some of the bounty from your harvest. And it saves energy! The Traditional Cooking School’s Lacto-Fermentation course requires a some special supplies, which you can purchase as a kit from Homesteader’s Supply. You will love our Pickle-Pro lids because they help the fermentation process complete more quickly—in as few as three days. And here’s some more great news! 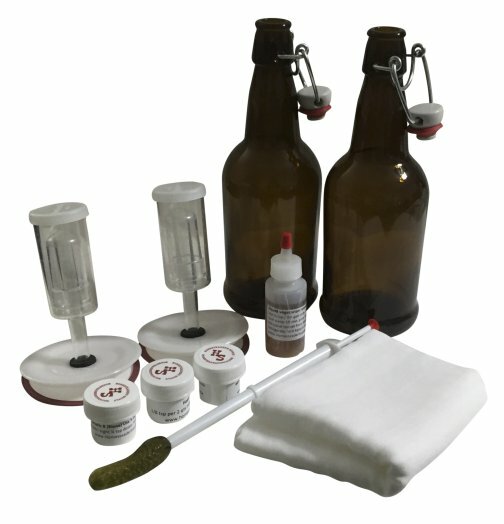 We offer our Lacto-Fermentation eCourse Kit at 20% off the retail cost of the individual items! Note We continue to offer this same kit without the Grolsch bottles Be sure to specify which kit you want when ordering. 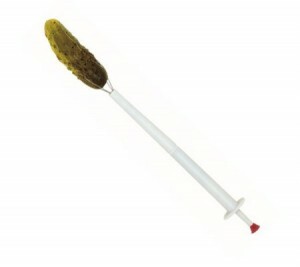 As a special gift from Homesteaders Supply, you will also receive a Pickle Pincher Delux, which allows you to remove pickles and other veggies from your jars. It’s great for serving at the dinner table, parties, or just small gatherings. No more fingers in the jar! As of this writing, both kits are on a special sale with FREE SHIPPING to the 50 US states! There might be an extra charge for other destinations. Just give us a call (928) 583-0254 and ask! 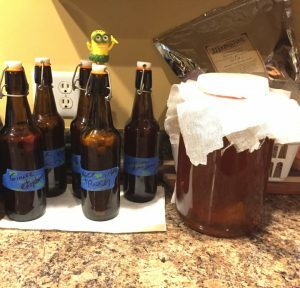 This entry was posted in Fermentation, Traditional Cooking School, Uncategorized and tagged Grolsch, Lacto-Fermentation Kit, Traditional Cooking School on November 20, 2015 by Homesteader's Supply. Anyone can learn to make better butter! 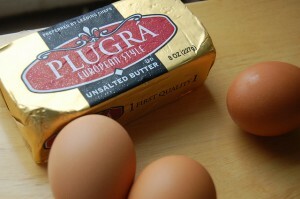 There are two options in this article: making your own butter from scratch, or improving on the butter you buy. You may ask, why would I want to improve on the butter I buy? Great question! REAL butter is a wonderful product! Years ago, they used to tell us it was bad for our health, but research has shown otherwise. Today, we know that REAL butter is actually a healthier fat than those manufactured products with chemicals and dyes and hydrogenated molecules that can potentially lead to cancer and heart disease. Now that we know that REAL Butter is good for us, we can teach you how to make it better. This is a project that you can even enjoy with your kids. Basically, it involves creating a variety of flavored butters by adding ingredients like fruits, nuts, spices and herbs. The options are endless and entirely up to your imagination. This entry was posted in Butter, Dairy Uses, Fermentation, How-To, Recipes and tagged butter, fermenting, how to, kitchen tools, recipe on November 9, 2015 by Homesteader's Supply.